The advertising industry is more than pretty pictures or clever copy that helps brands create an itch for consumers to scratch. It is obsessive about understanding you and me and everybody else, what makes us tick and how we choose to interact with the simple and ordinary things; it is obsessive about evoking real emotion and tapping into the common truths we all know to connect with us on a subconscious level. Ferdinand de Saussure, cofounder of Semiotics, explains these subconscious connections through semiotics and the concept of the ‘Sign,’ a method of understanding how we interact with and associate meaning with information. To explain this concept briefly, first there is the Sign, which then consists of two fundamental bases: the ‘Signifier’ and the ‘Signified’. The Signifier is the sounds or letters that form together to denote what is being spoken of, and the Signified is what we visualise when we hear, read, or even see it. Note: the difference in perceptions when thinking of a cat and the actual cat in the real world. The Sign itself is a two-sided psychological entity, and as such cannot exist without either bases–like a one-sided coin. Saussure goes on to call the connection arbitrary as there is nothing natural, permanent or simple about it and that “…the arbitrary nature of the Sign…dominates all of the linguistics of language; its consequences are numberless”. Some Poststructuralist theories suggests that the possible connotations of the Sign relationship are endless based on the individual interacting with it, and, at the same time, that the Sign can also be a Signifier. For example, if we take the word ‘Lion’ as the Signifier and the image of a lion as the Signified, this will form the Sign. 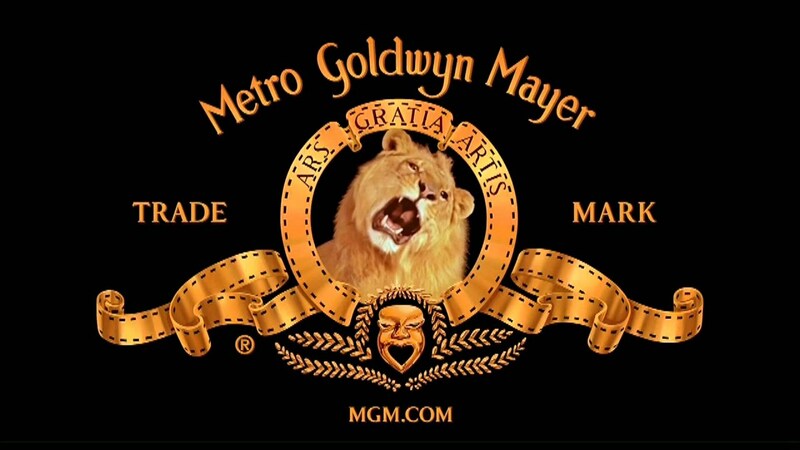 This Sign can be further explored in terms of what it represents to the individual, thus making it the Signifier and the individual interpretation becoming, for example, the Metro-Goldwyn-Mayer Studios logo. To get a better understanding of the Sign, a little insight into the Poststructuralist method of interpretation goes a long way. In layman’s terms, Poststructuralism is a distrust of absolute definitions, an awareness that language does not reliably secure a meaning but defers it, and an encouragement into reading to become aware of the gaps that must exist in any language (a particular reading style that doesn’t enforce meaning but rather revels in the playful construction of new meaning). Many examples of the Sign can be found in advertising, the most recognisable of which could arguably be the Nike Swoosh. Many comparisons have been made between the Swoosh and the famous sculpture Winged Victory of Samothrace (a portrayal of Nike), and perfectly suggests the authority of the Sign. Once placed together, the connection becomes even clearer. Why is this method so successful? Take a look at the California Milk Processor Board ‘Got Milk’ campaign. This simple message created a ripple effect throughout the creative industry and has since spurred on many ‘Got [Fill in the Blank]’ spin-offs. Its success is not solely based on the original campaign, but the widespread understanding of its concept. These secondary adverts introduce Signifiers that act as vehicles of consciousness and represent how the concept has been transformed. The function of the Sign is to turn consumers into supporters of the product, creating a tether between creative and the consumer. As for those pretty pictures and clever copy: besides the fact that crafting skill accounts for at least thirty percent of the work (and it making it out into the world a further thirty) we need to inspire an emotion–multiple even. Creating meaning in the work and layers of different understanding transforms a one-sided creation into a living, breathing entity that can interact and stir emotions and thoughts in anyone. This is what makes our jobs important: a meta-thinking approach. Being self-referential in your process opens the door to finding more in what we make, giving it meaning and making connections within the work and the audience. Saussure calls the connection arbitrary, but only in the sense that it cannot be applicable to all, but your own personal connection is not arbitrary, instead its very relevant. We need to understand how people will interact with what we put in front of them–not only in a physical sense, but also emotionally. Our industry is unique in that it requires you to be as knowledgeable about as many topics as you possibly can, which means you can never stop learning. If you ever want to truly succeed you never will, either. Applying this idea to your work is not an impossible task, simply one that requires careful consideration. By being aware of your influence instead of being surprised by the meaning someone has taken, you start to consider each of the possibilities. Inspiring the conversation between creator and recipient. Anika Vos is the Art Director of The Fort.